(21 June 2018) We sat down with Gabrielle Berman, our expert on research ethics, to chat about her two new discussion papers which explore the ethics of using new technologies to generate evidence about children. The papers, written collaboratively with UNICEF’s Office of Innovation, highlight the advantages and risks of using these technologies to gather data about children. They also provide useful guidance for researchers – especially those unfamiliar with technology – on the questions they should be asking in order to protect children’s rights. 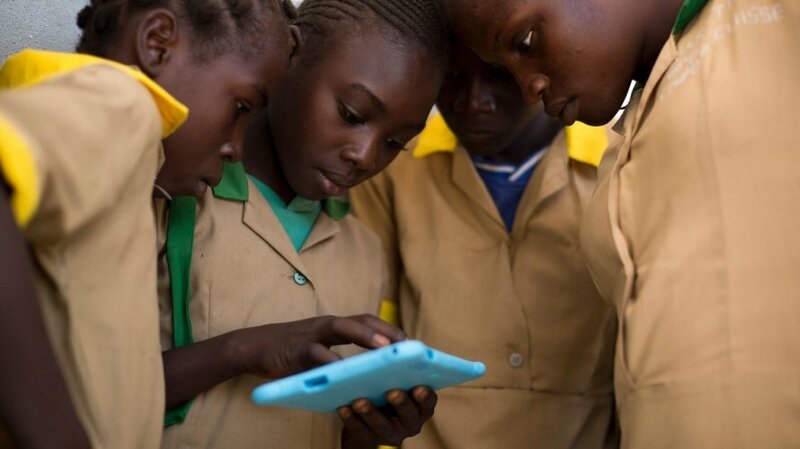 Twelve-year-old Waibai Buka (second left) teaches her friends how to use a computer tablet provided by UNICEF, at a school in Baigai, northern Cameroon. 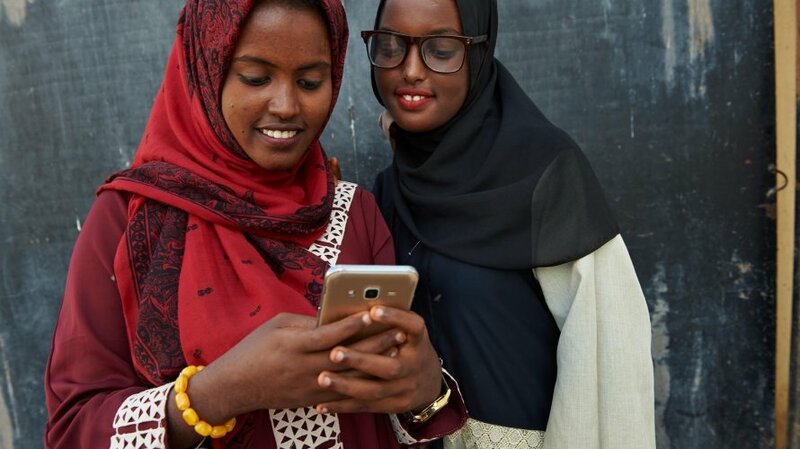 Adolescent girls look at social media posts while attending a "Lifeskills" event in Union Development & Culture Community Centre in Djibouti. "We must avoid abdication of responsibility to tech experts and remind staff that they are in fact the experts on potential implications for children." Firstly, we need to provide them with guidance. But importantly, we need to get stakeholders around the same table - including the social media companies, the data scientists, and the communities we work with. We should bring these people with different perspectives together, acknowledging everyone’s expertise, and engaging in dialogue on what the potential ethical issues are and how they can be mitigated. This joint risk assessment is a key way to start a constructive dialogue on the issues and potential mitigation strategies. "We must not forget that there are very real risks in making decisions based on quantitative trends alone." 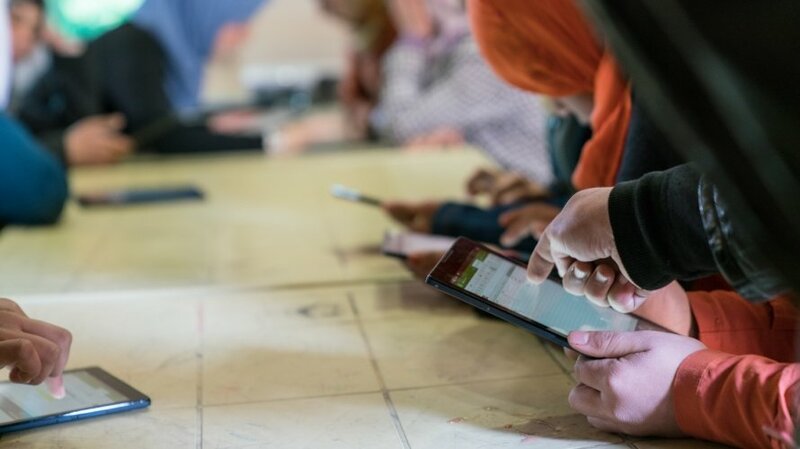 Adolescent girls use cellphones and tablets in a solar kiosk providing internet connectivity in the Za’atari camp for Syrian refugees, Jordan. Geospatial technology has been invaluable in both development and humanitarian contexts, but we need to think about where we source the data, how useful it is, whether it’s a two-way dialogue, and if can we respond to any requests for help in humanitarian contexts. We particularly need to be concerned with the potential risks involved and the security of this data in humanitarian contexts. In these situations, we’re often dealing with vulnerable populations. Because of this, we must be very careful to ensure that this data is limited to those who absolutely need to access the data, particularly any raw and individual data, with specific consideration for the safety of the populations that may be captured by the technology. For this reason, we really need to think about the interoperability of geospatial data systems: which partners are we working with? who in these organisations has access to the data? why do they have access? do we have sufficient security measures? These types of reflections are necessary to fulfil our obligations to protect the communities that we work with. You can download the paper on ethical considerations when using geospatial technology and social media now. Geospatial technologies have transformed the way we visualize and understand social phenomena and physical environments. There are significant advantages in using these technologies and data however, their use also presents ethical dilemmas such as privacy and security concerns as well as the potential for stigma and discrimination resulting from being associated with particular locations. Therefore, the use of geospatial technologies and resulting data needs to be critically assessed through an ethical lens prior to implementation of programmes, analyses or partnerships. This paper examines the benefits, risks and ethical considerations when undertaking evidence generation using geospatial technologies. It is supplemented by a checklist that may be used as a practical tool to support reflection on the ethical use of geospatial technologies.